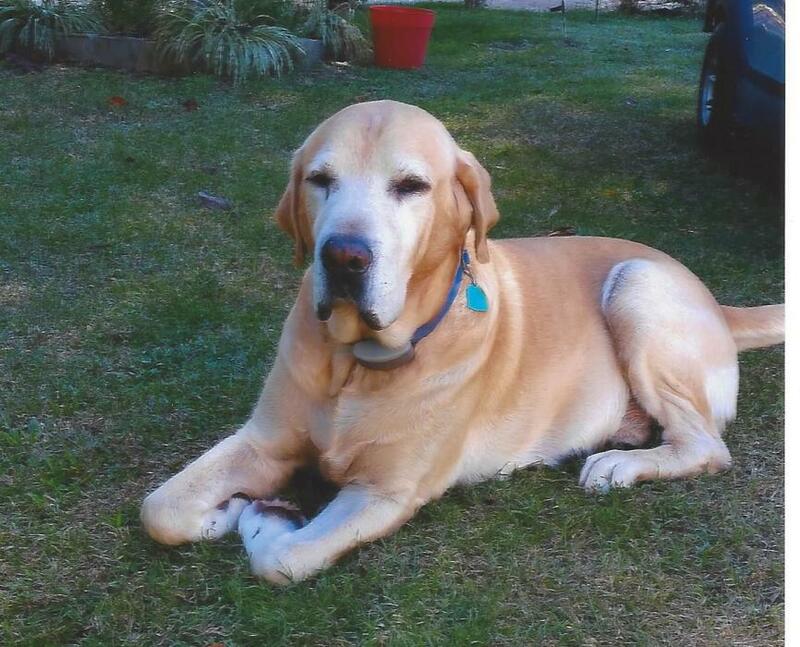 Jr. Bentley, a Yellow Lab was born in 2005. He crossed the Rainbow Bridge on June 9, 2018. For 13 years he was the beloved companion to Kevin and Candy Bentley. He loved his family and spending time with all of them. He loved a family cookout because that meant many snacks and treats were coming his way. He loved for Kevin to hide his snacks so he could find them. He also loved riding in the back of the truck and refused to get out until he was taken for a ride. He will be missed so much by everyone and will always be in our hearts. We love you and we are so thankful that we had you in our life.